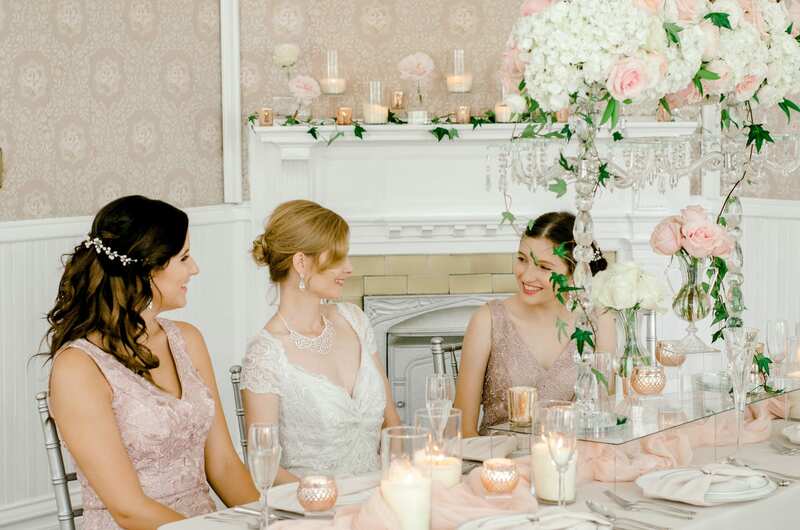 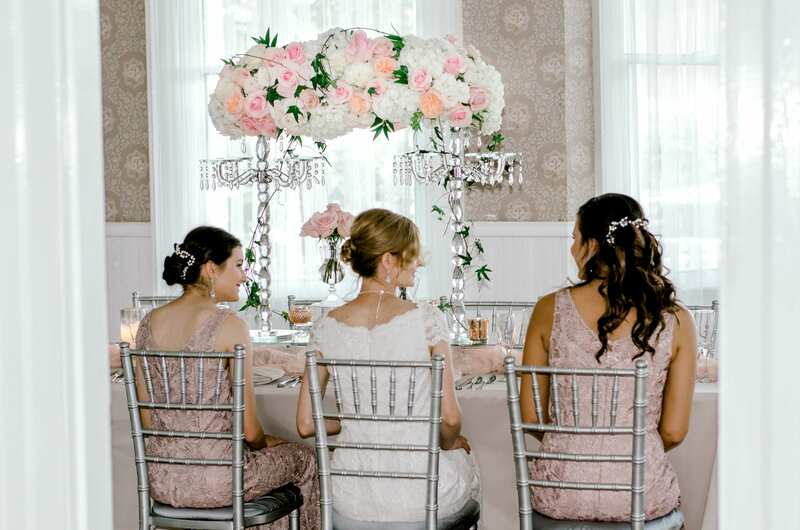 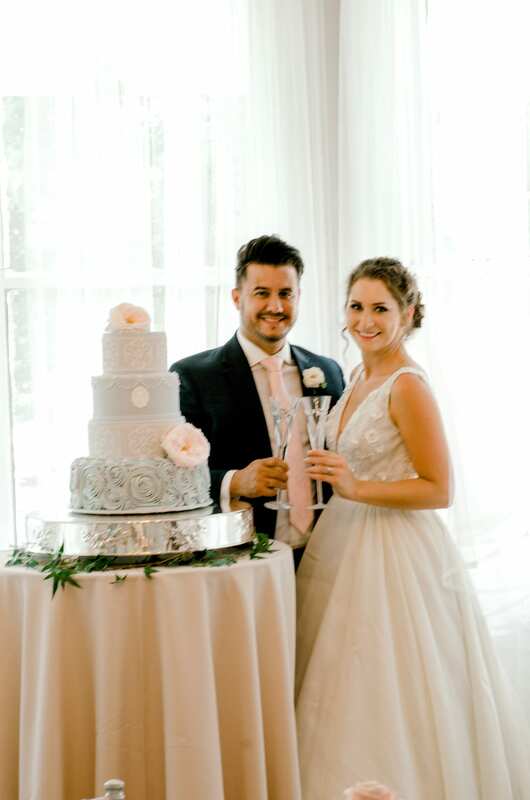 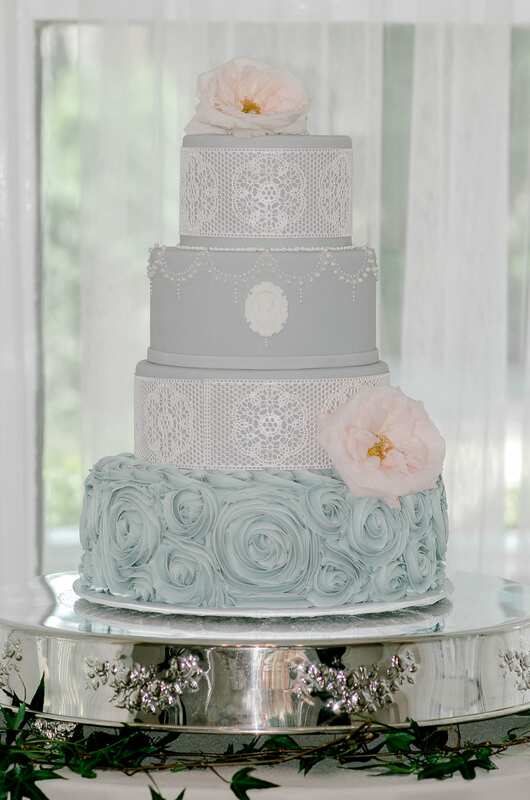 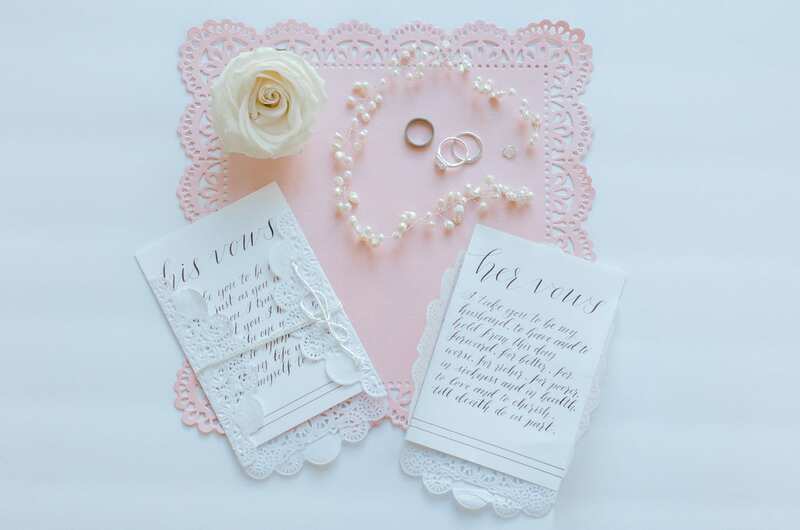 Blush pink, lace, and pearl details are a perfect match for a soft and romantic wedding with a vintage note. 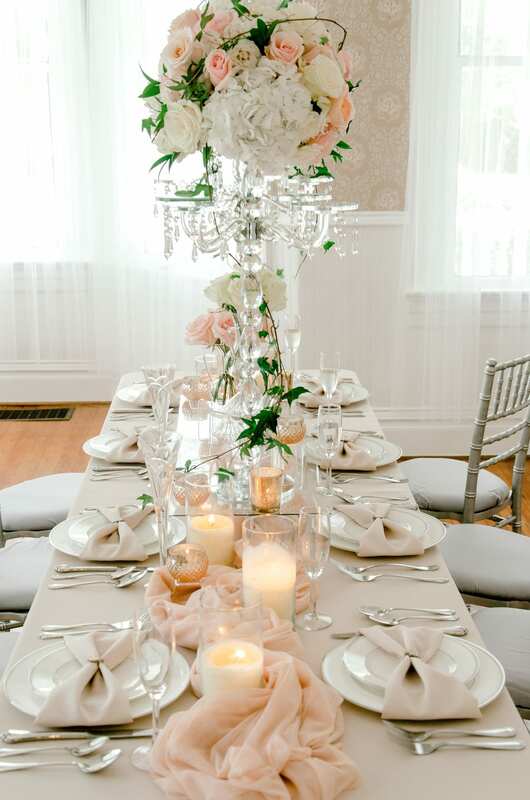 And those elements are nearly perfection in Jessica Drew Photography’s Cameo, Lace and Pearl styled shoot. 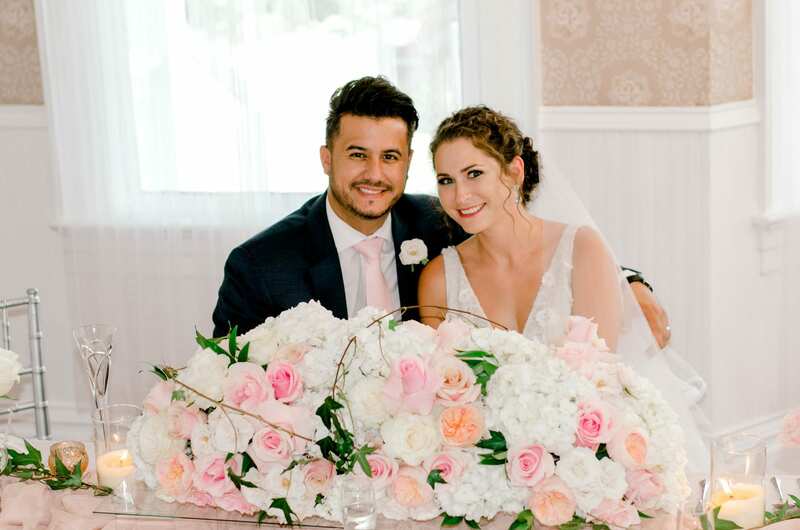 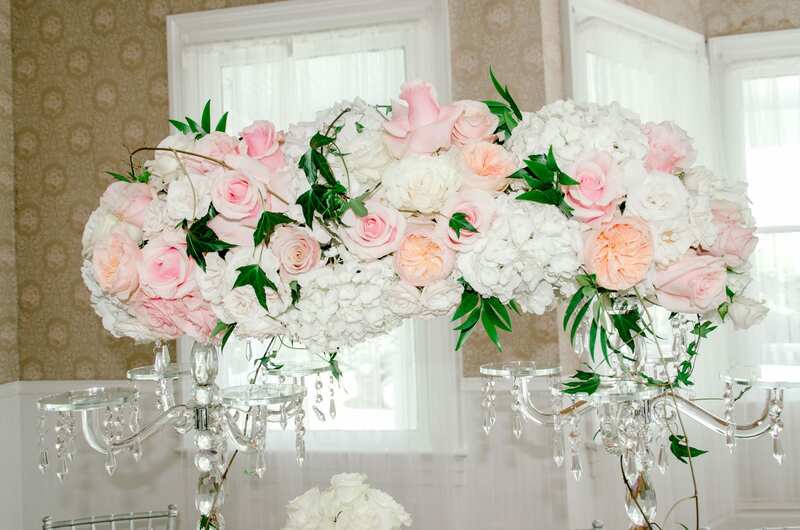 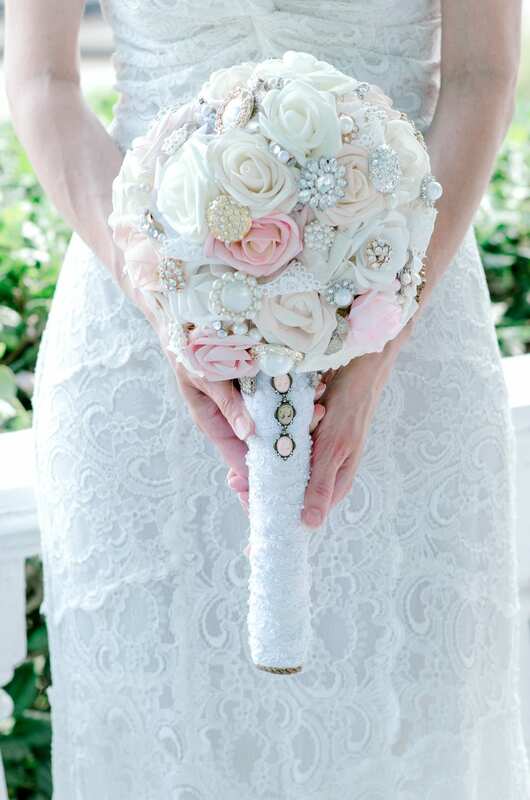 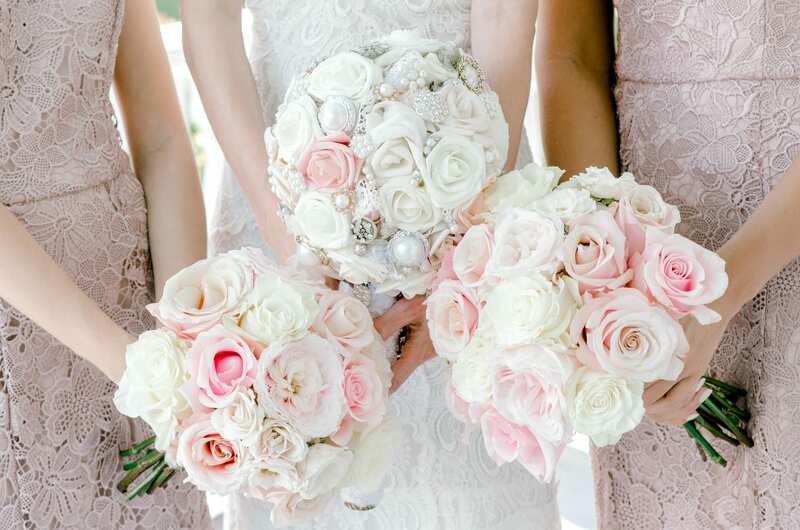 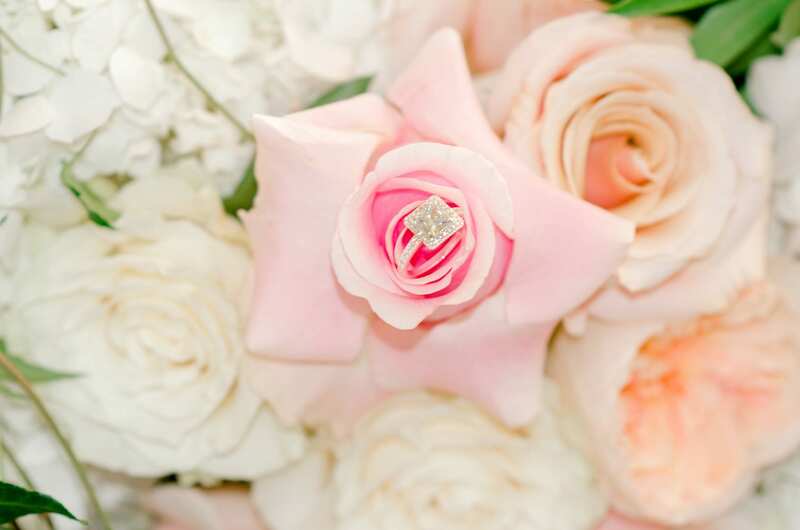 The theme starts off with a classic but always beautiful choice of white, ivory, and blush roses. 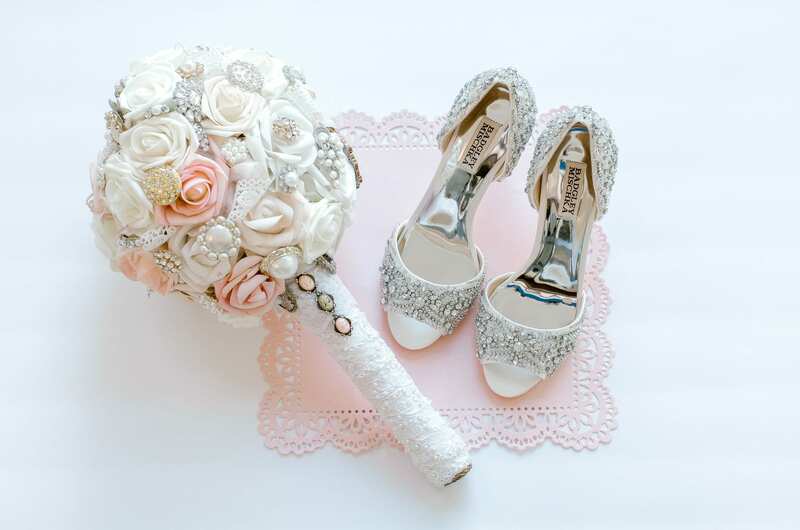 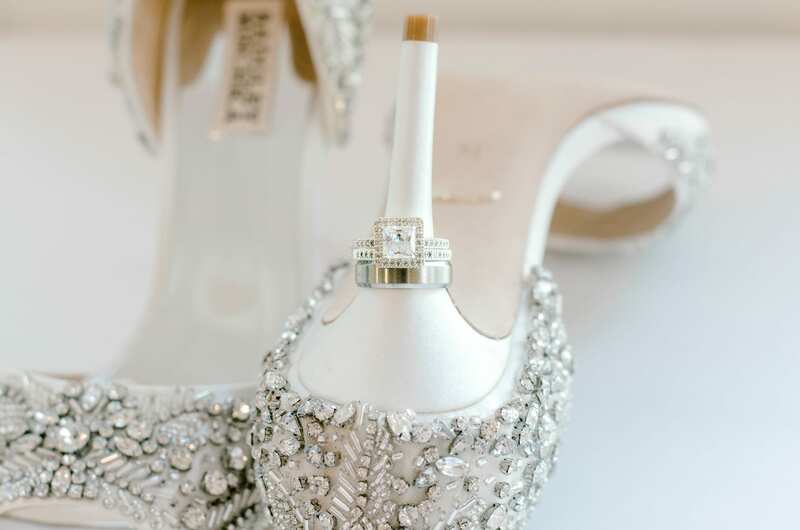 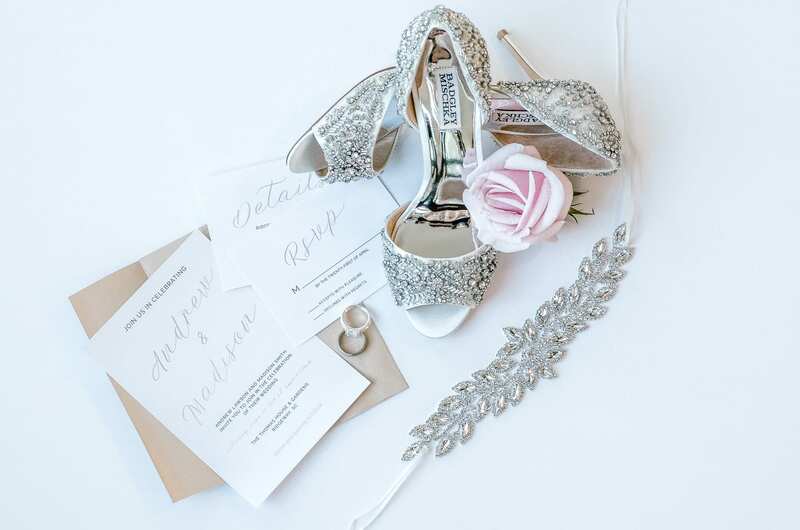 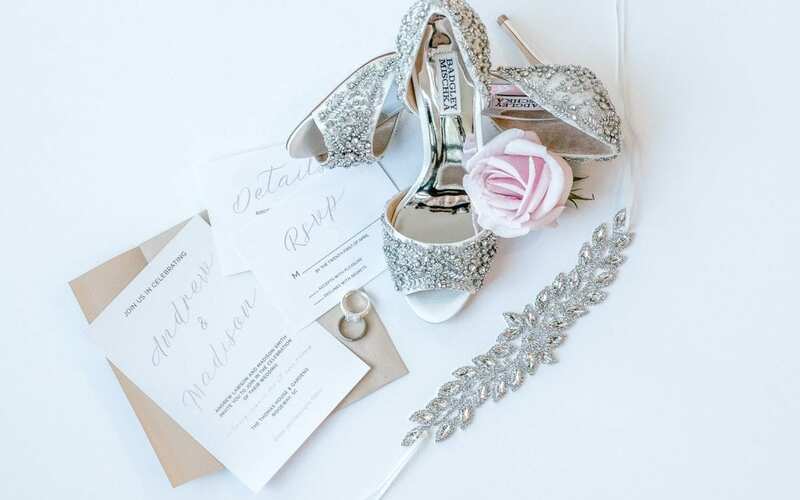 A whisper blue lace garter and jeweled silver pumps by Badgley Mischka add a pop of color and glamour underneath. 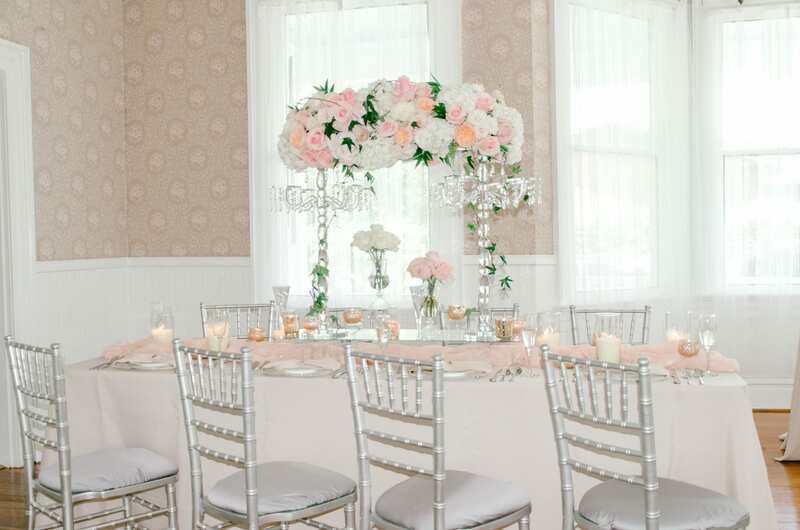 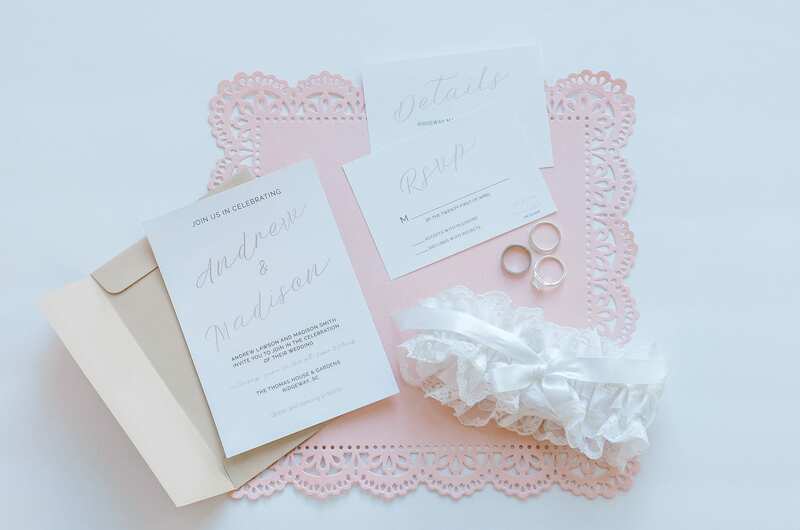 Stationary exudes understated beauty with a petal pink ,doily-inspired design and modern script. 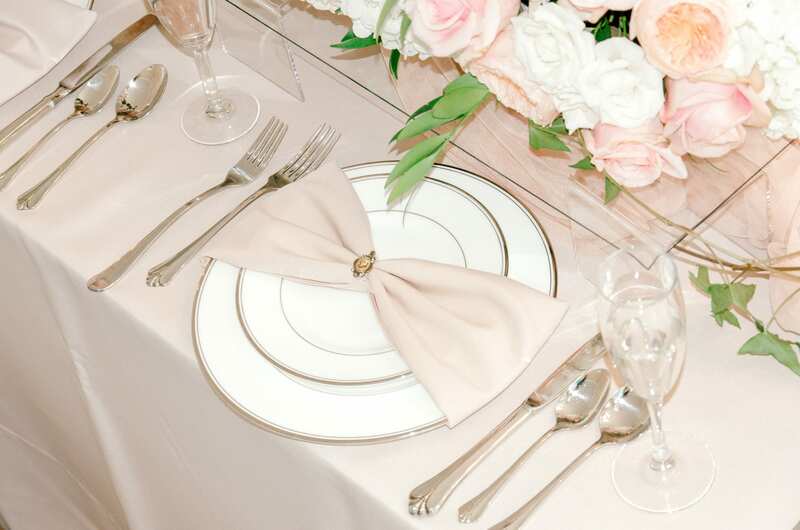 A soft ivory tablecloth works well with barely blush napkins, silver utensils, and soft glass tea candles. 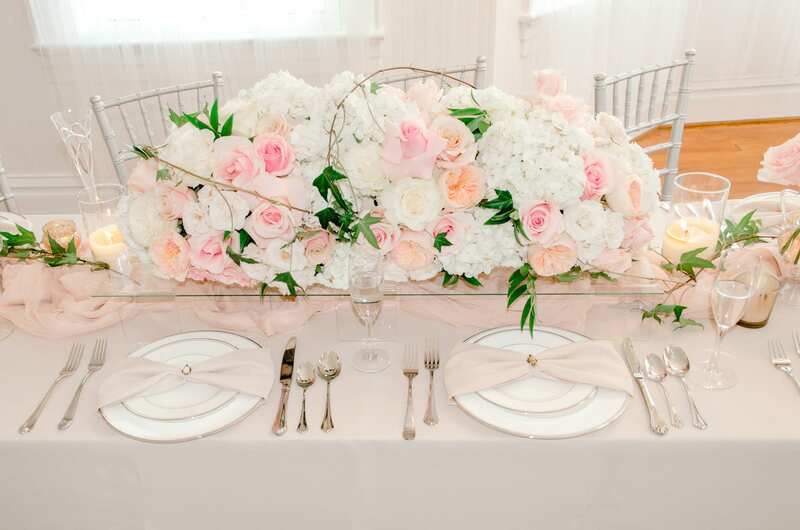 White hydrangeas add volume to pink and white roses, while a vine of greenery adds a pop of natural color. 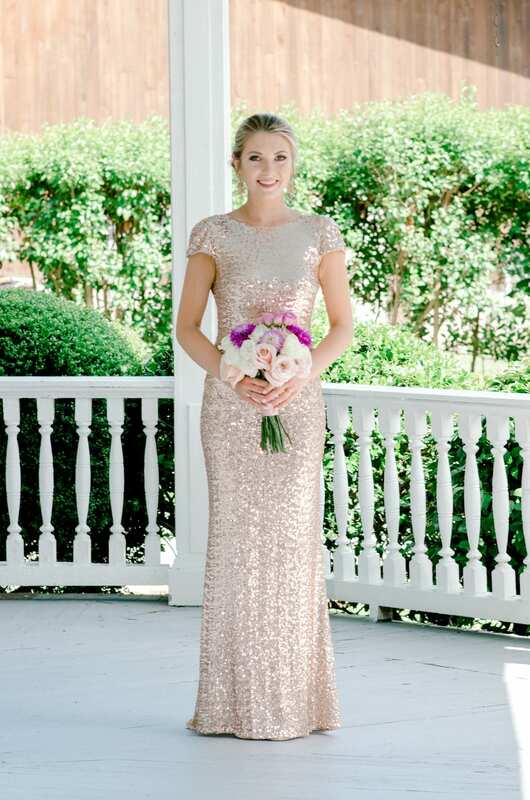 Fashion, of course, ties the entire look together. 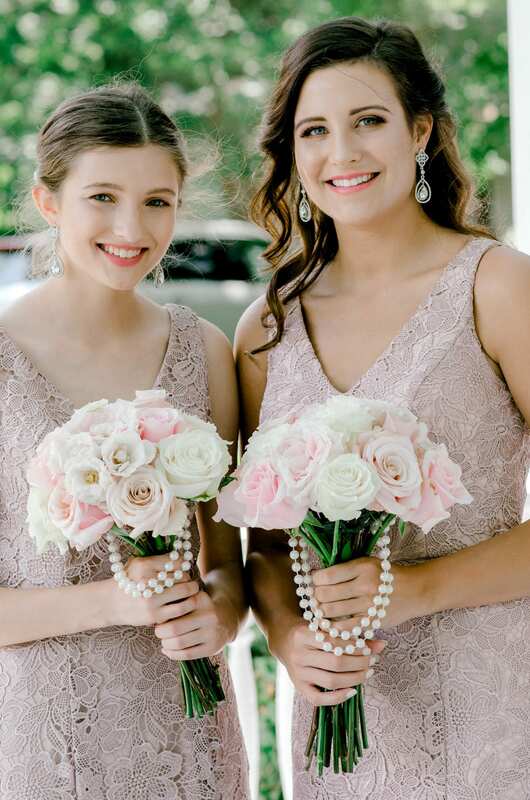 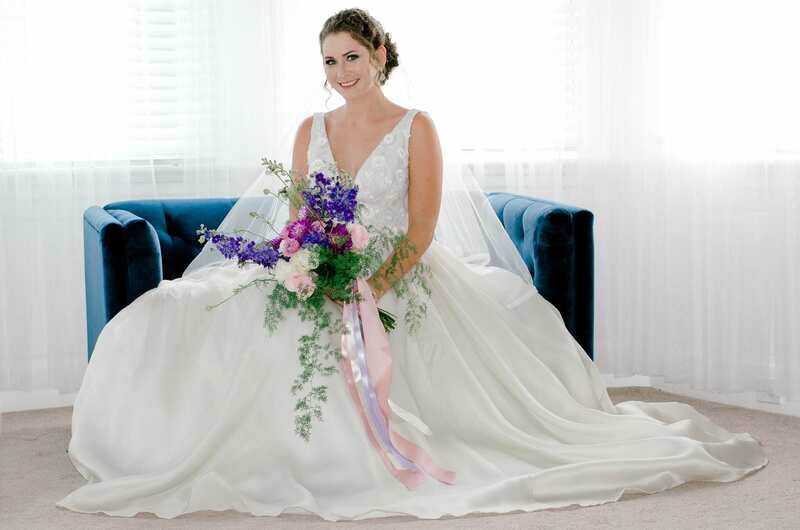 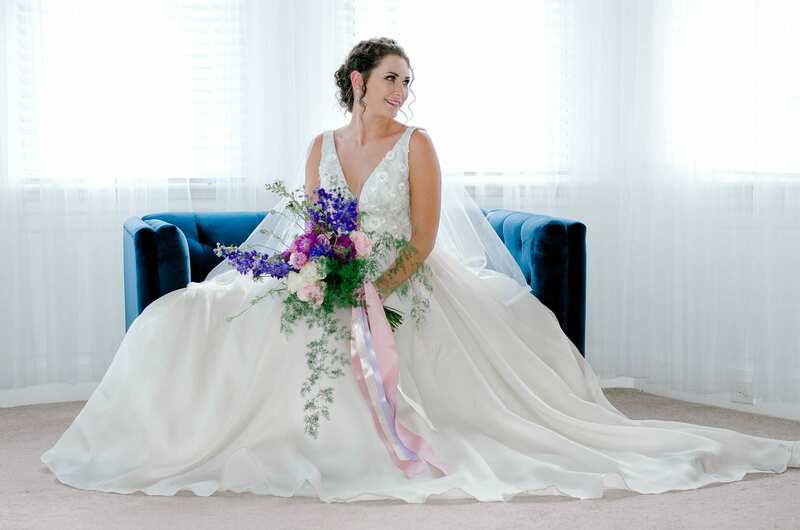 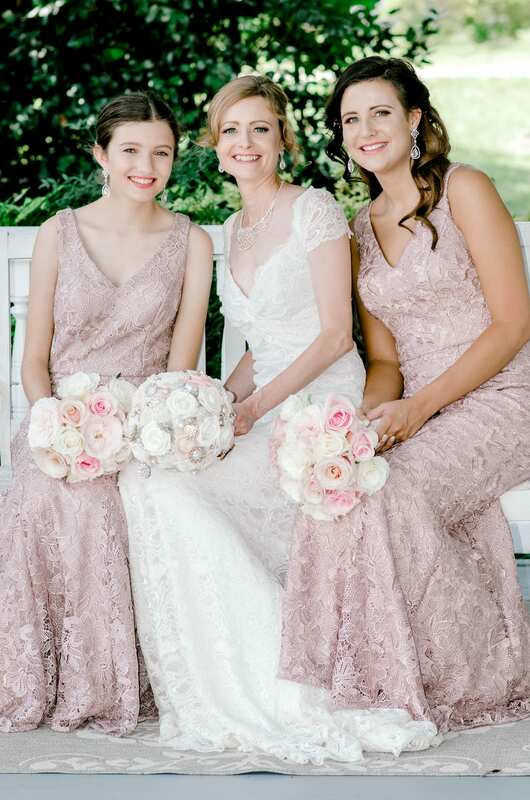 Rather than a typical pink, the bridesmaids’ lace, v-neck floor length dresses are in a beautiful mauve hue and feature large print, floral lace. 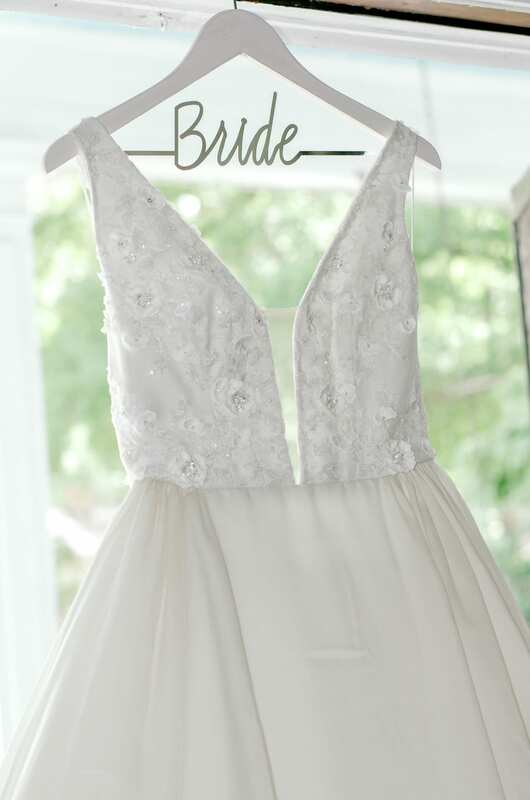 The bride’s wedding dress is decidedly garden vintage: cap sleeves, all-over paisley teardrop lace, and a fitted A-line silhouette. 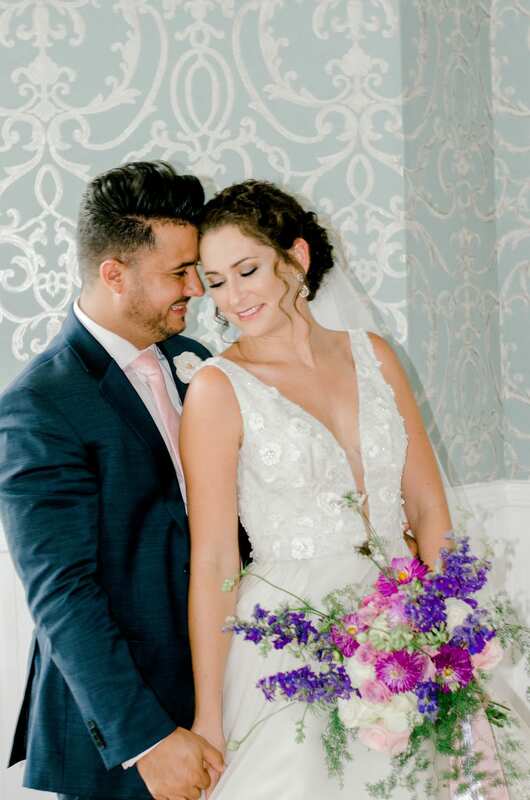 For a slightly grander and more modern take, a second bridal gown features a full skirt with a dramatic plunging v-neck bodice embroidered with white flowers. 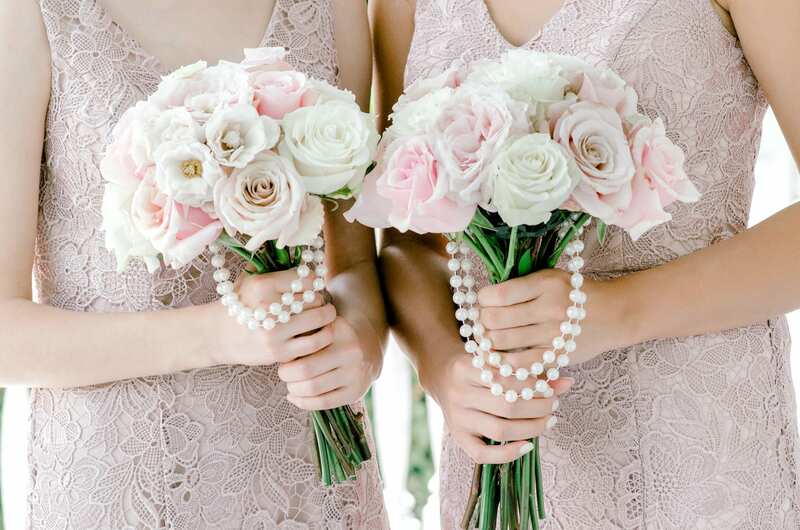 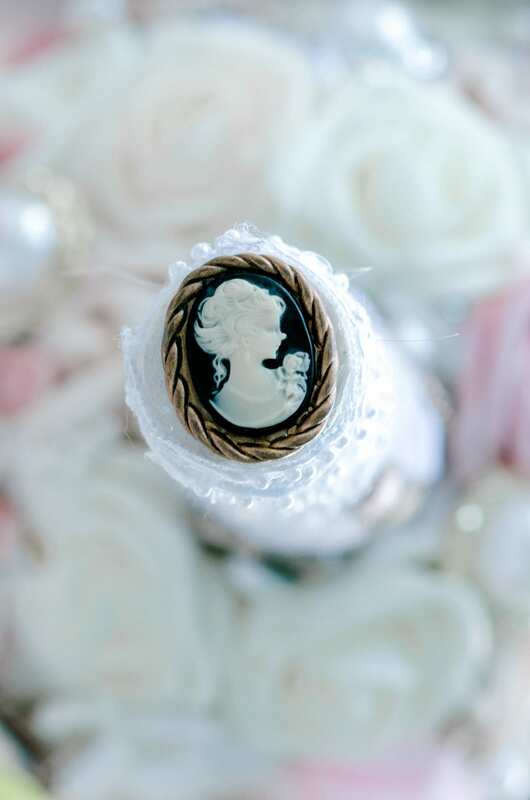 Which just proves that pearls and lace are truly timeless.